Jit Muthuswamy discusses highlights from SfN Neuroscience (3–7 November, San Diego, CA, USA) and comments on his current projects. There are several exciting ideas in using different modalities of ultrasound and transcranial magnetic stimulation (TMS). Although an old technique, I’ve seen some new ideas coming out that have made significant improvements in TMS, making it more focal, more specific and more applicable to small animals. I also saw several new ideas in ultrasound-based techniques for stimulation of specific areas of the brain, making it more cell specific. In the area of neural interfaces, there was a significant trend towards using new materials and moving away from the current silicon-based methods. It shows people are looking at new materials that have more stability and hopefully will work a lot more reliably in human applications, especially trying to access deep brain structures. In the peripheral nervous system, I saw a novel clinical demonstration of a bidirectional human prostheses that enabled pain sensation as well as control motor activity. I saw a lot of interesting approaches using imaging as well, as people are trying to access deeper structures of the brain. Yet, we continue to hit some fundamental limitations in physics so I think it’s still in the works. Neural interfaces and neurostimulation are two things we are focused on in our lab (Neural Microsystems Laboratory, AZ, USA). One problem with the current neural interface techniques is that they are highly invasive and often result in disturbing, if not rupturing, a lot of microscale vasculature possibly causing microscale strokes and triggering a cascade of cellular and molecular events around the implant. When using neural interfaces you are aiming to make discoveries and assess function of specific circuitry so this violates the fundamental principle of instrumentation; don’t disturb what you’re trying to measure. One of the ways you can find out if you are causing damage is in observing any areas of oxygen deprivation or disturbances in the metabolic conditions in the vicinity of these interfaces as you put them in. What we have proposed, and just got NIH funding for, is an MR imaging-based technique that will allow us to make assessments of oxygen concentration in the immediate vicinity around the interfaces using a siloxane–based material. 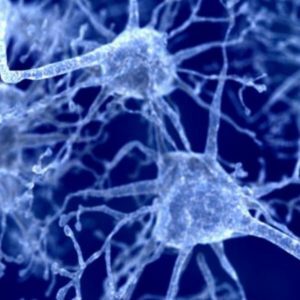 We are also working on a wireless, minimally invasive technique to stimulate neurons in the brain. Right now stimulation is being done by implantable electrodes or non-invasively using transcranial direct-current stimulation or TMS coils that have very poor spatial resolution. What we are trying to come up with is a minimally invasive technique that will have the same spatial resolution that you have with invasive metal or wire implants. We’re working towards using sound-based ways to accurately stimulate specific regions of the brain. We are also working on developing robotic or autonomous plug-and-play, intracellular interfaces, allowing us to get inside the cell and record membrane potentials from neurons in awake, behaving animals. Current techniques to do this require a lot of skill and training and are generally done in anesthetized or head-fixed animals.